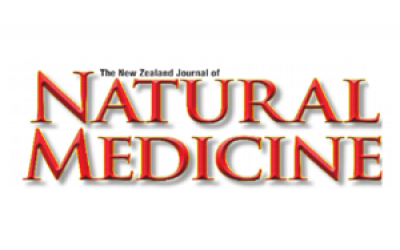 We have just uploaded several articled about SCENAR Technology written by Dr. Jorg Prinz and publiched by the The New Zealand Journal of Natural Medicine. Please click on the Download link to read them. A lot of people in New Zealand and Australia own a RITM SCENAR device of the ‘home user range’: either a ‘home’, a ‘sport’ or a ‘sport digital’ device. I was recently made aware that a lot of home users are not sure how to use the device to their full advantage. This prompted me to offer home user trainings: 4 hour trainings on a Saturday morning. Today I want to give some useful tips and hints for those who cannot attend such a short training seminar. One of the biggest myths about SCENAR therapy is the belief that a SCENAR works or is applied like a TENS machine (Trans Cutaneous Nerve Stimulator). However, the R in SCENAR stands for ‘Regulator’. Keeping that in mind, the way SCENAR is applied is quite different from TENS machines: in SCENAR therapy the device is moved across the skin. While there is the possibility to use a cable and sticky pads to apply a constant SCENAR signal to the painful area of the body – it does not give the same good results as when the device is moved and certain reactions of the body are observed and treated. By moving the device across the skin different nerves are stimulated to release endorphins which are responsible for the pain relief and neuropeptides which are triggering a strong immune system response. 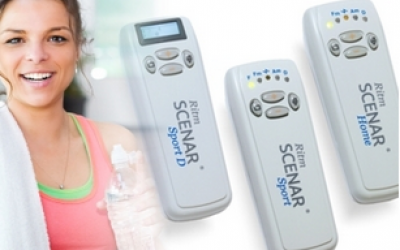 A SCENAR is a bio-feedback device: it adjusts the shape of the signal according to the body’s reaction. And the body reacts to the SCENAR signal – and certain changes in skin areas guide towards the best treatment areas. The treatment area can be where the pain is – but it can be further away. Of course initially the spot SCENAR is applied to on the skin – using the inbuilt electrode – is where the pain is noticed – the point of pain (PoP). Then the energy is turned up to a comfortable sensation. When brushing with the device across the PoP changes can be observed in several areas: the pain can reduce; the pain can shift slightly; the pain character can change (e.g. from sharp to dull); the pain can get worse – which is rare; or the pain does not change – which is equally rare. If the pain does not change even with changing the settings on the device, e.g. changing the frequencies another approach is advised. Work on the symmetrical area: if there is pain for example in the right knee apply SCENAR to the left knee. From a conventional medicine approach that sounds strange. However, if we think holistically then it is obvious that changes will happen in the body when the right knee hurts, e.g. a patient would (subconsciously) not put as much weight on the right leg as on the left when walking or standing. Therefore treating the left leg, or to be precise the left knee, can make a difference to the body resulting in less pain in the right knee. The signal applied with the SCENAR to both knees does not equally convey through the nervous system if there is pain in one knee. That helps the brain to realise that there is a difference in the right and left knee sensation – another strong stimulus to induce the internal repair mechanism. If there is pain in the front of the knee the opposite side, the back of the knee, can be treated. And each body part has reciprocal areas which also can induce a pain relief by treating there. In case of the knee the reciprocal area is the elbow, either on the same or the other side. Reflex areas do work at times, too, as well as acupuncture points, meridian treatments and applying SCENAR to trigger points. This will be demonstrated in live training seminars. Having said all this about point of pain treatments we are actually looking for ‘asymmetries’ when moving the SCENAR device across the skin. 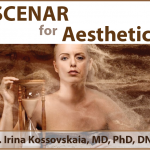 An asymmetry in SCENAR therapy is defined as an area on the skin that is different – or becomes different under SCENAR application. Asymmetries mainly become apparent when the device is moved across the skin. In this case the bio-feedback function of the SCENAR helps to make asymmetries visible, audible or sensible. Only one type of asymmetry can be shown in a picture – the others can only be demonstrated. At the top and bottom of the picture one can see normal coloured skin. After brushing across the skin a large part turned pink – that is the asymmetry. And a small area in the centre turned red – that is what we call the ‘small asymmetry’. The small asymmetry is more important than the asymmetry. When treating the ‘small asymmetry’ there is a higher chance of getting a faster pain relief then when treating anywhere else. The actual point of pain might be directly under the ‘small asymmetry’. But if the pain is say close to the armpit it is more likely to get better by focusing the SCENAR application on that ‘small asymmetry’ in the centre of the photo. The approach of TENS application is to put a sticky pad on the point of pain and run the device. In SCENAR therapy we can use sticky pads but here we would put the sticky pads on the darker red spot, on the ‘small asymmetry’. Sometimes the actual pain is surprisingly far away from the ‘small asymmetry’. This patient was complaining about a ‘tension headache’ and a slight neck pain when turning her head to the right. After treating her neck she did not experience any pain relief – and I could not find a small asymmetry in the neck or shoulder area. Widening the search elicited a small asymmetry on the left above the bra line and another one further down on the right close to her hip. After treating the upper small asymmetry for 2 minutes she could move her head without sensing pain, tension or restriction. Treating the area close to the right hip by brushing for 3 minutes there, her headache disappeared and she was fine. Using sticky pads on her neck or not locking further afield for a cause of her headaches would have left her and the practitioner frustrated. Home users are usually medical lay people and would not have looked that far away for a treatment area. Even medical professionals would have difficulties to explain these phenomena: following the simple rules set out in SCENAR therapy ensures that everybody can apply SCENAR successfully. If all of the above is not giving the expected pain relief then we treat what we call ‘general zones’. 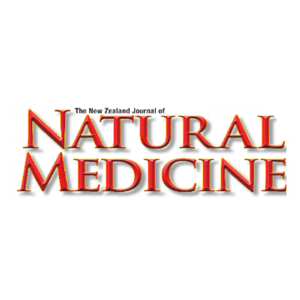 Those home users who purchased a SCENAR device from the New Zealand or Australian distributers of RITM OKB are supplied with a manual that describes in plain English what to do to treat the whole body – which helps to relax, push the immune system and elicit a strong endorphin release. This in turn will have a beneficial effect for pain anywhere in the body. It is possible but difficult to treat one’s own ‘general zones’: Most of them are in the back and a partner is needed to work there. That is why we invite a partner – family members or close friends – to join in at the ‘home user trainings’ for free. 2. SCENAR Meridian Stretch Technique (SMST) – easy to learn and implement SCENAR technique, the SMST provides instant pain relief and increased mobility. Developed by Toshio Kobayashi, Japan and used by many Japanese, Australian and New Zealand practitioner with great success. 3. We are currently developing a variety of specialised SCENAR Professional Training courses. 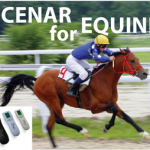 The first course SCENAR Professional Equine Training Course, has already been completed and uploaded online with continual updates of video footage. It can be purchased currently for $350 online per year. 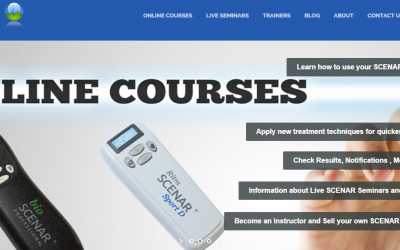 Live seminars are also available in Australia. Please contact us for more details. 4. 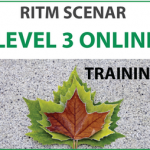 The new re-written by Dr. Jorg Prinz Level 2 and Level 3 online training courses are now available on our training web site – www.ritmscenar.com.au. They are part of the live seminars that are conducted in Australia and New Zealand. 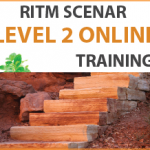 Customers who have completed trainings with RITM Australia trainers, please contact us to arrange free access. Customers from other countries may purchase the online courses for $350 each.